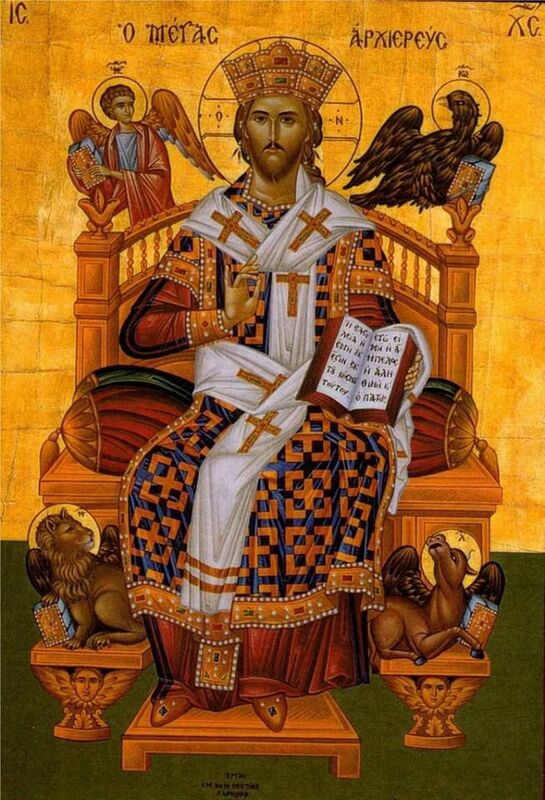 The Roman Church has a separate feast of Christ the King in 1925, with Pius XI’s encyclical Quas Primas. It was to counter the rise of secularism by proclaiming that Christ is the only true king of the believers. The original and ancient feast of Christ the King, however, is today, Palm Sunday. The Gospels record that Jesus is received in Jerusalem, imitating King David by riding into the city on a humble donkey. This is to become a central theme in Holy Week. The Sanhedrin will condemn Jesus for blasphemy, but will give him over to Pontius Pilate for execution for political reasons, that he set himself up as a rival king to the Emperor, a crime of treason. This is, in fact, the crime for which Pilate judges him, putting the accusation on the cross, “Jesus of Nazareth, King of the Jews.” The feast today is of immense spiritual importance, but, unfortunately, got tangled up with the concept of “king” that the people had. They wanted a political Messiah who would free them from Roman rule. Instead, Jesus tells Pilate, “My kingdom is not of this world,” and he forbids his followers to fight for him. The kingdom of God is not a kingdom of worldly power, but a kingdom of our hearts and minds given freely to Jesus, the Son of God, that we may live in peace with our neighbor and with the will of God, and may grow in wisdom and understanding. St. Paul describes what the kingdom of God is like in today’s epistle: “ … whatever is true, whatever is honorable, whatever is just, whatever is pure, whatever is lovely, whatever is gracious, if there is any excellence and if there is anything worthy of praise, think about these things” (Philippians 4:8). We must question ourselves today, do we want a king like the mobs did, a political king who will validate our nationalism and support our ideologies, or do we want a king that deifies our souls and hearts and minds? Only the one, true, authentic King can be our redemption and spiritual glorification, in a kingdom established on love of God and love of neighbor. On Holy Saturday, then, we sing, “Let all mortal flesh keep silence and with fear and trembling stand … for the King of Kings and Lord of Lords is coming to be sacrificed and to give himself as food for the faithful” (Cherubic Hymn, Paschal Vigil Liturgy).